'A line above the sky’, this name of a route can only make you dream. 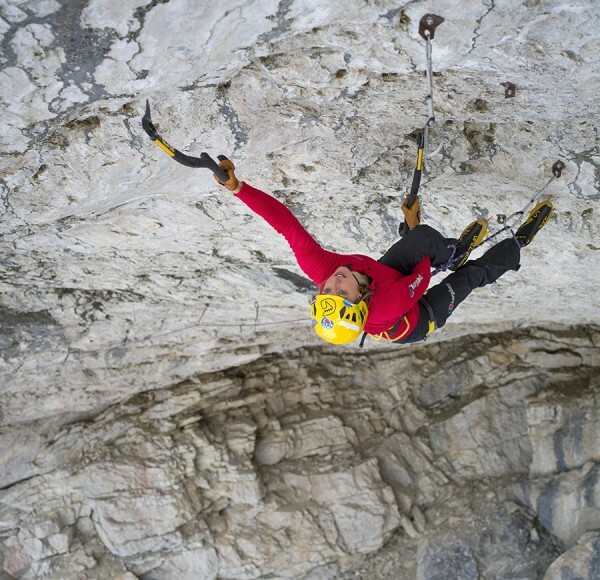 This route is without doubt the ‘king line’ of the Drytooling crag ‘Tomorrows World’ in the Italian Dolomites. It traverses the whole horizontal roof of the cave and finishes on it's far edge, where your belayer starts to appear quite small as he stands at the base of the route. When you stand below the route you see a whole line of quickdraws, precisely 27, dangling from the roof. 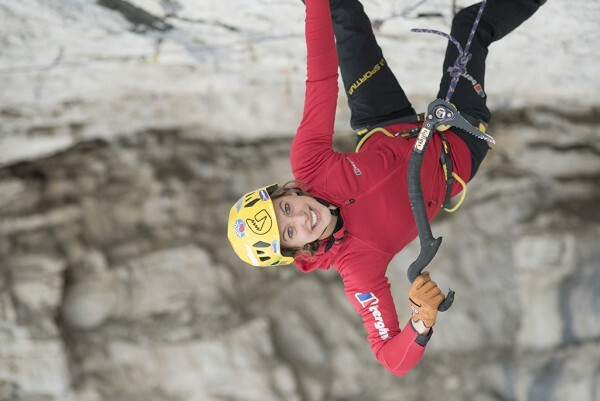 With it’s 40 meters of length, of whose 30 meters are completely horizontal, the route is intimidating but on the same time it also affascinated and motivated me to try. After having been at Tomorrows World for the first time in February 2016, when the crag was brand new, I knew I wanted to do the route but a free ascent seemed quite far away. Some moves are very very long for me and at my first tries I barely was able to do those single moves. So I decided to try some of the easier routes in the meantime, that are all variants as they have a common start or ancor and then cross each other in the roof. In this way I worked on the moves of the D15, but beeing able to vary a bit and to have some success by climbing the easier routes. I was able to add the second last piece of the puzzle in the end of October, when I climbed ‘Je Ne Sais Quoi’, graded D14+. I was very happy about this early season sent, which I did not expect. Now I knew, that only the ‘big route’ was missing. But I also knew that I needed good conditions to do the route. When it’s too cold, for me it is impossible to climb such a long route with this hard moves, as my fingers get numb soon and I get pumped quickly. In mid November I checked the weather forecasts and saw that at the end of the week it would snow and then temperatures would drop to negative degrees also at day. So I decided that I had to make a try and was very lucky that my boyfriend Marco could take one day off from work to belay me. After a good nights sleep in our van, I woke up and knew it could be the right day. I fought, I tried to shake out the pump, I dynoed the long moves and kept going also when I thought that I was too tired to hold on to my iceaxes anymore and finally I clipped the ancor of ‘A line above the sky’. 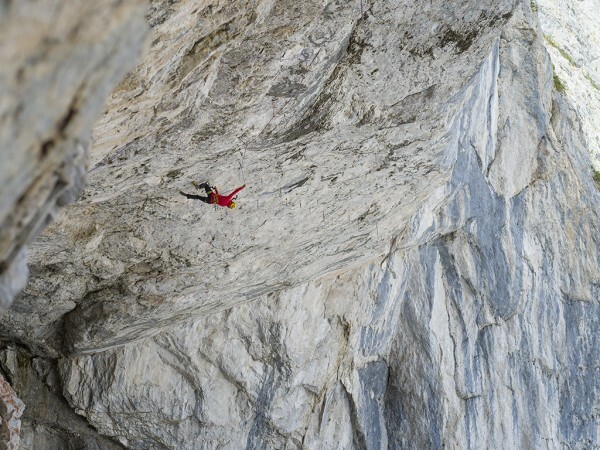 This is the hardest Drytooling route I have ever climbed and also the first female ascent of a D15 route. It’s incredible how happy I feel after this accomplishment.